AggTk is a new widget for high-quality vectorial graphics based on Antigrain Geometry ( www.antigrain.com ). 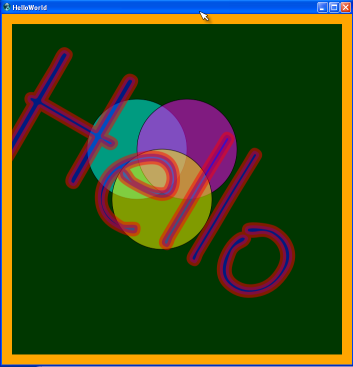 AggTk provides a sort of direct-draw canvas (contrary to the retained-mode provided by tk-canvas) and is able to draw primitives and even images with partial-transparency, anti-aliasing and sub-pixel accuracy. 아래는 직접 테스트해본 MinGW를 사용한 컴파일 방법입니다.